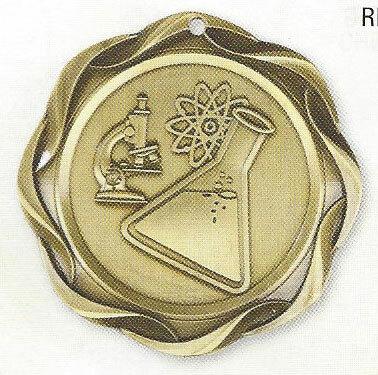 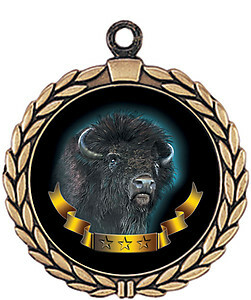 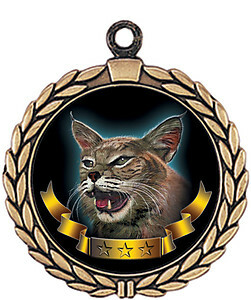 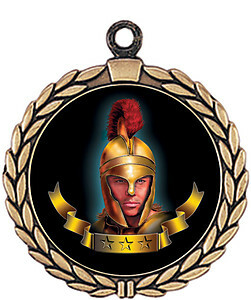 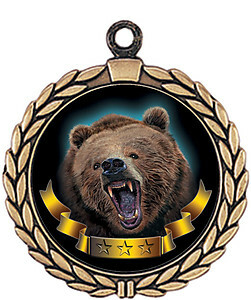 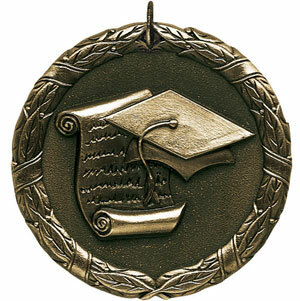 H and R Trophies offers you over 100 academic medals to choose from. 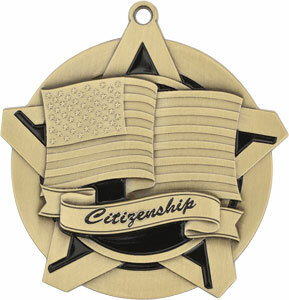 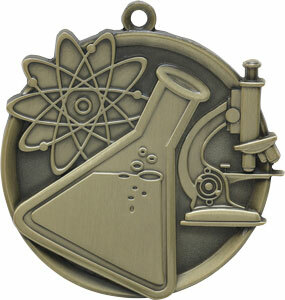 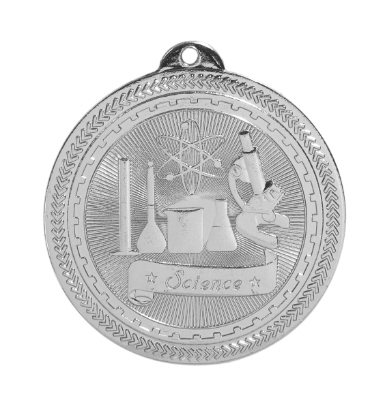 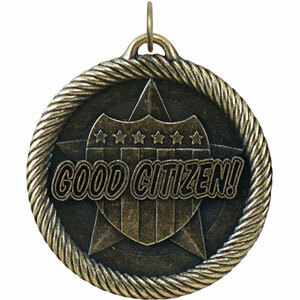 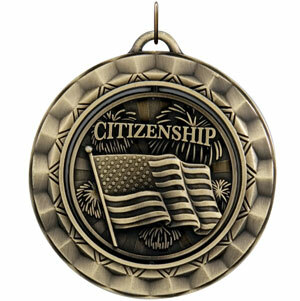 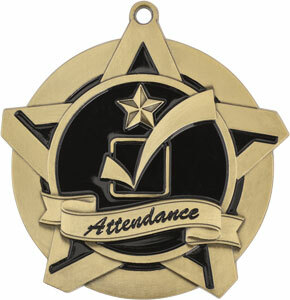 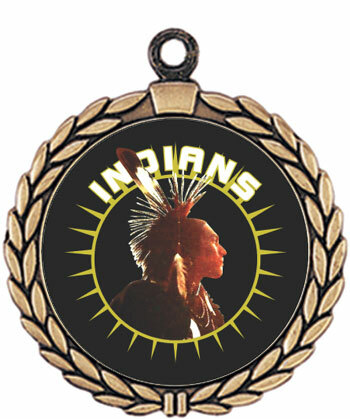 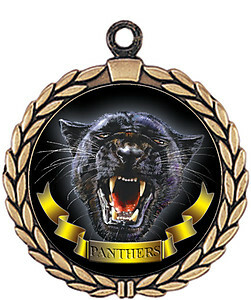 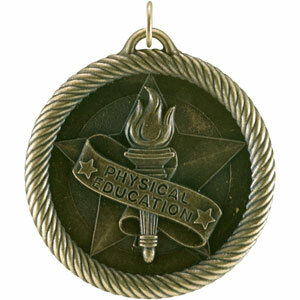 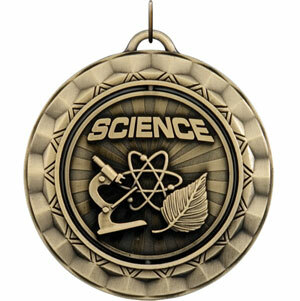 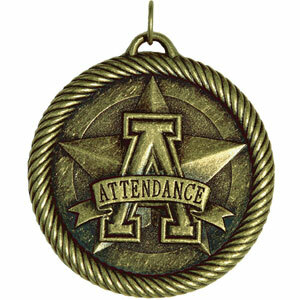 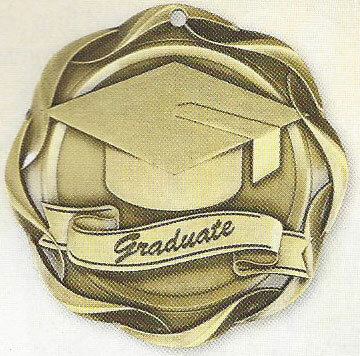 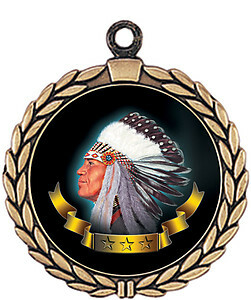 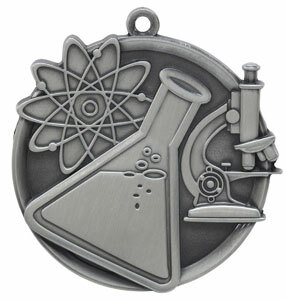 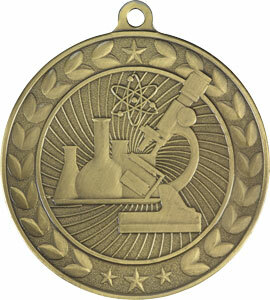 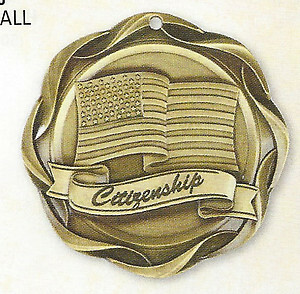 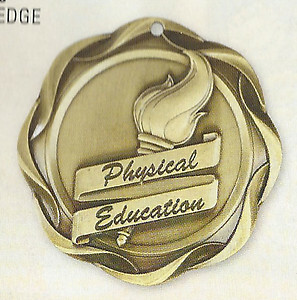 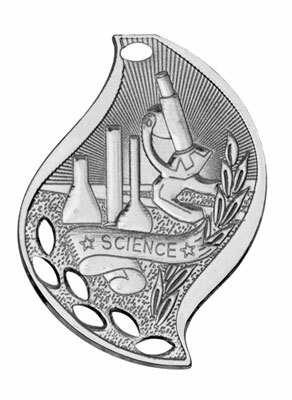 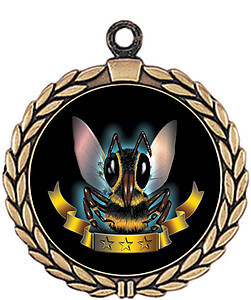 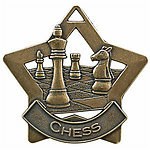 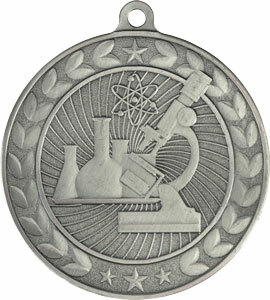 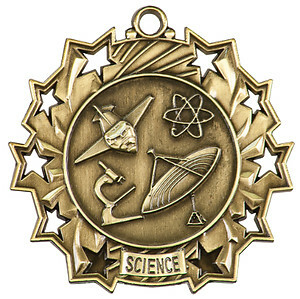 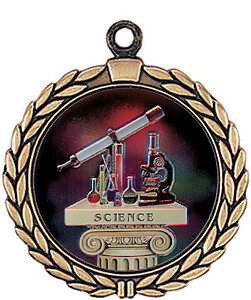 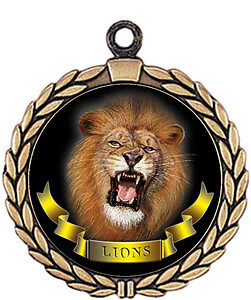 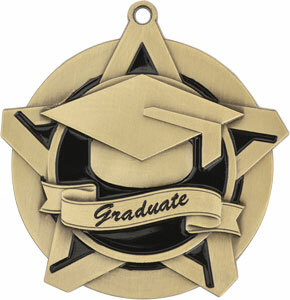 Most academic medals are available in gold, silver or bronze and come in various styles and sizes. 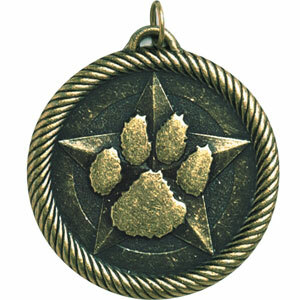 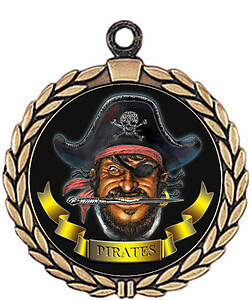 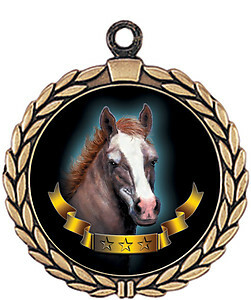 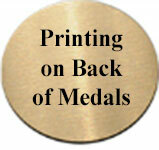 Our value medals start at $1.80 without ribbons and $2.15 with neck ribbons they are 2" medals. 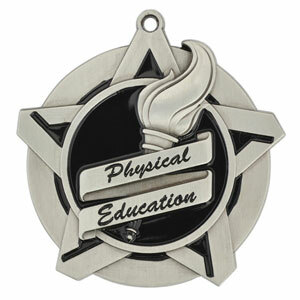 You may purchase some medal as large as 2 3/4 inches. 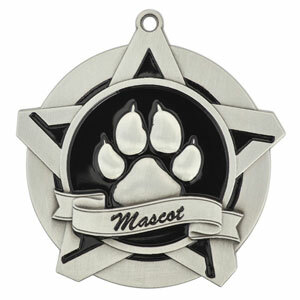 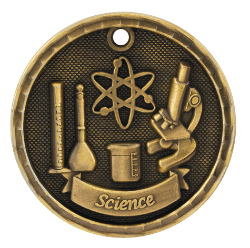 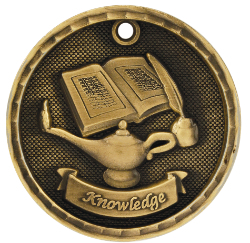 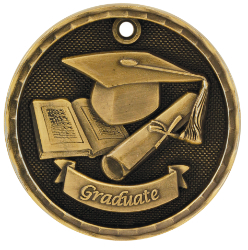 You can purchase Dog Tag Academic Medals, Spinning Academic Medals, medals in flame and galaxy design and much more. 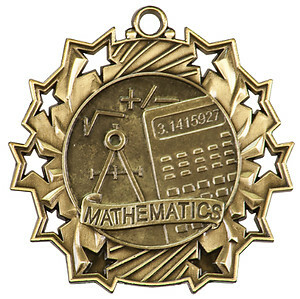 We have grouped the medals together by subject, please scroll down till you fine the medal you are looking for. 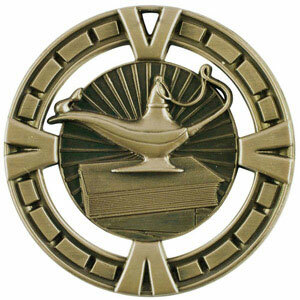 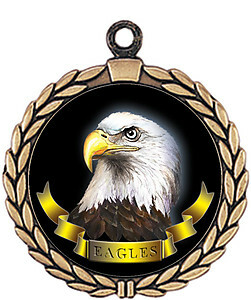 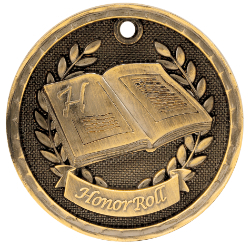 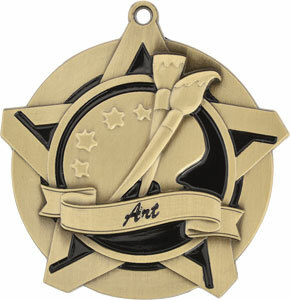 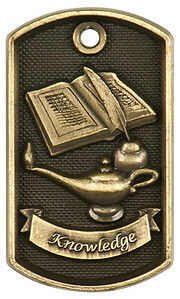 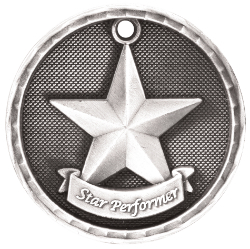 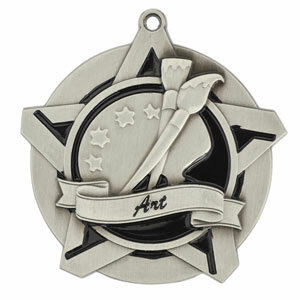 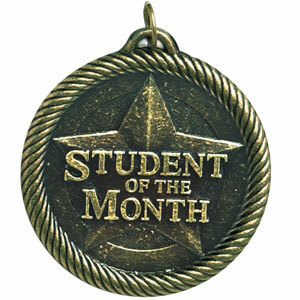 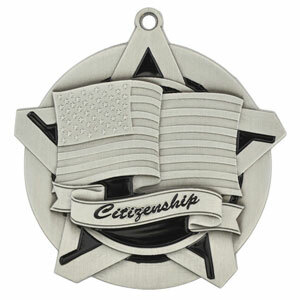 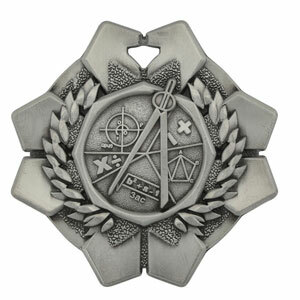 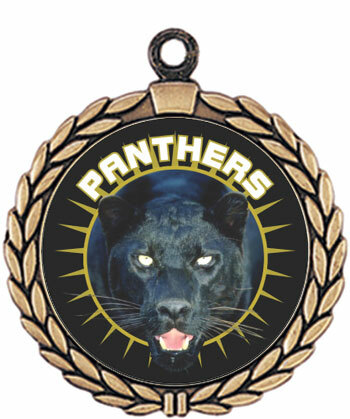 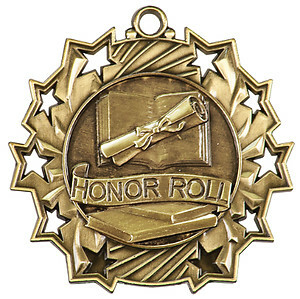 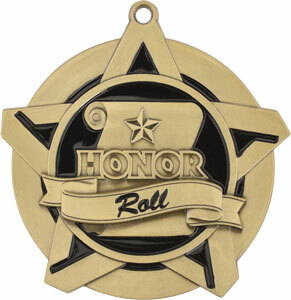 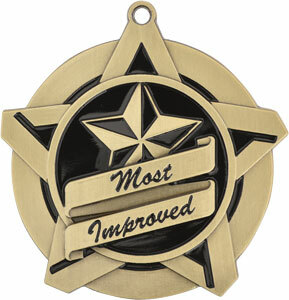 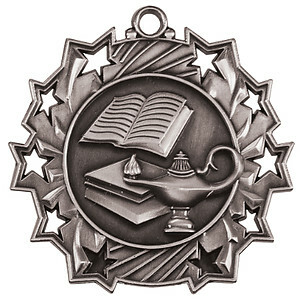 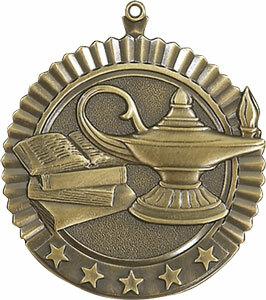 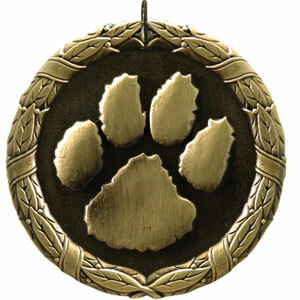 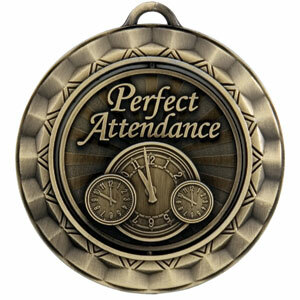 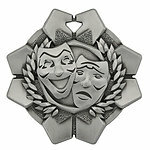 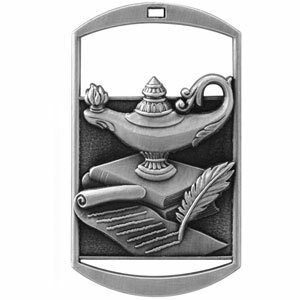 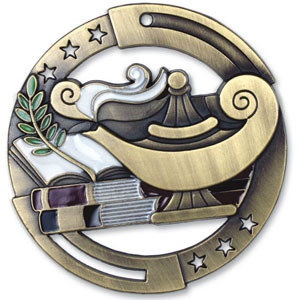 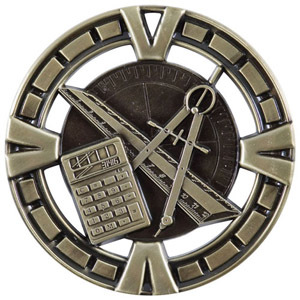 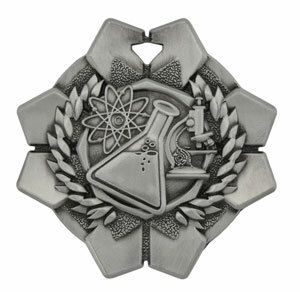 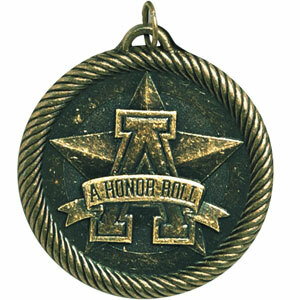 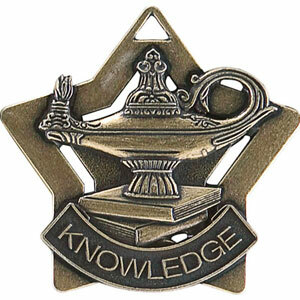 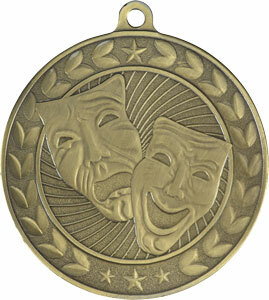 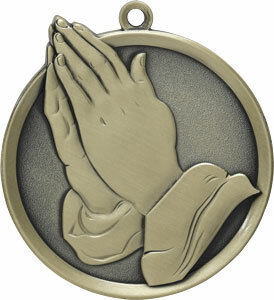 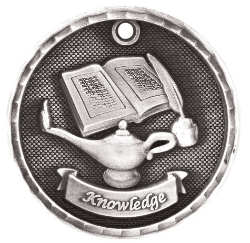 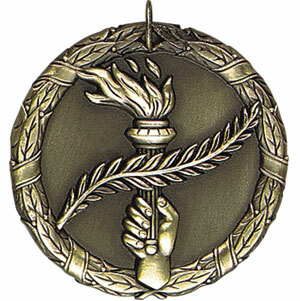 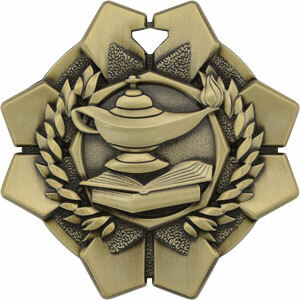 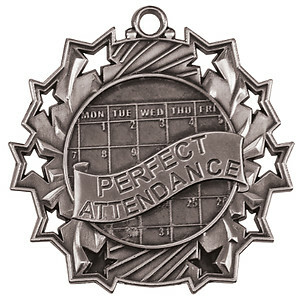 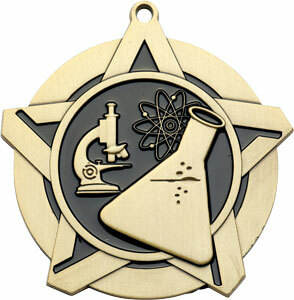 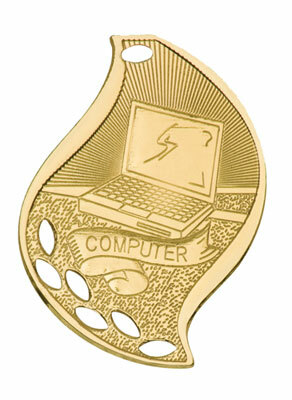 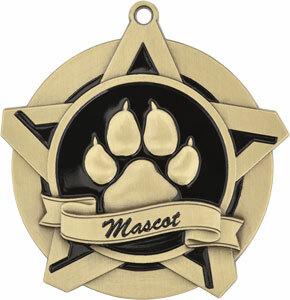 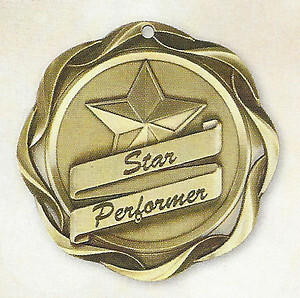 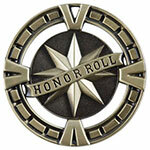 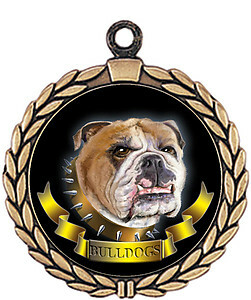 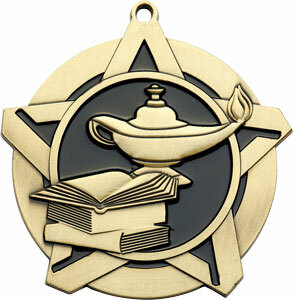 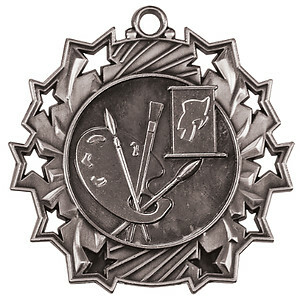 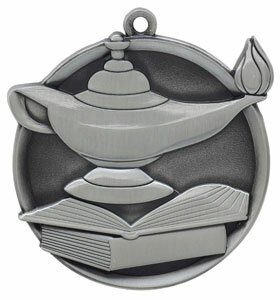 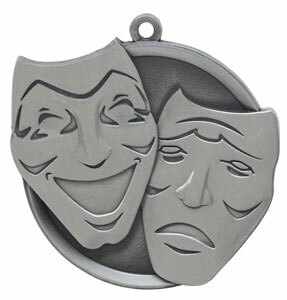 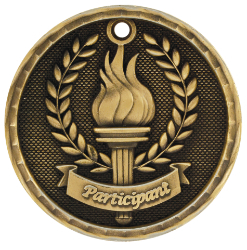 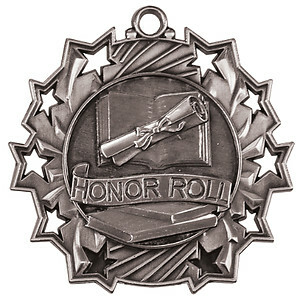 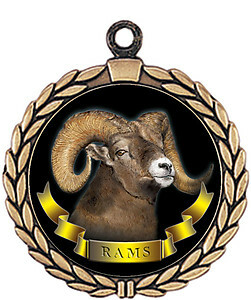 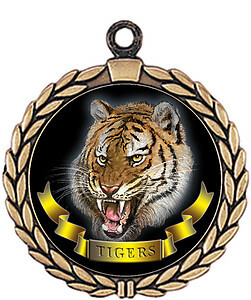 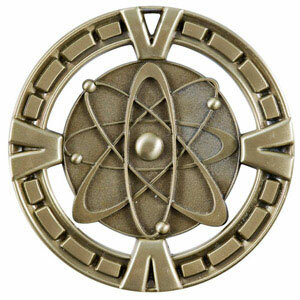 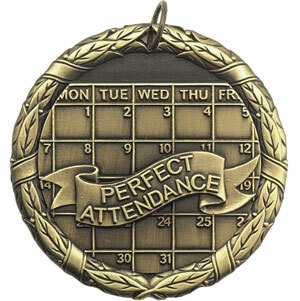 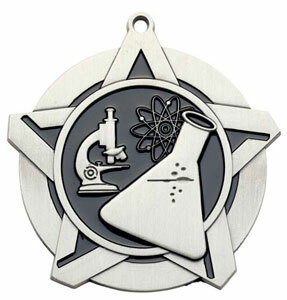 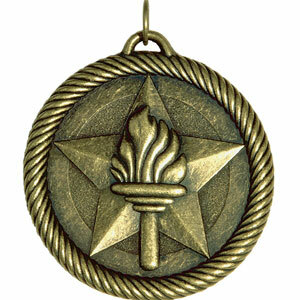 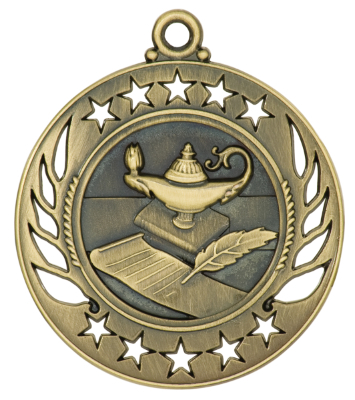 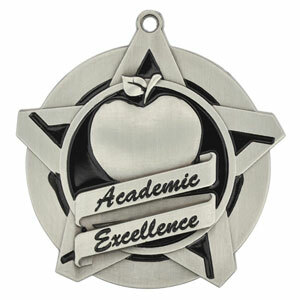 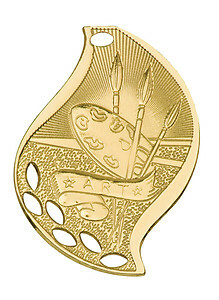 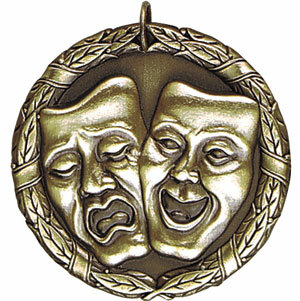 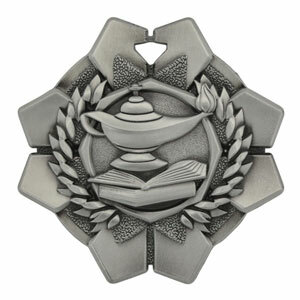 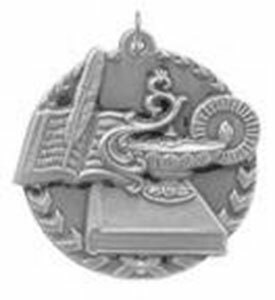 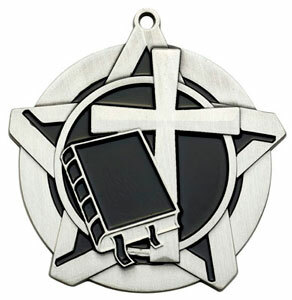 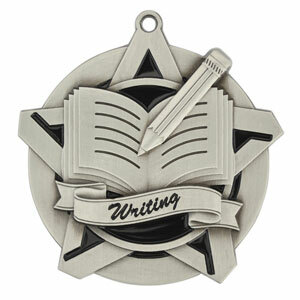 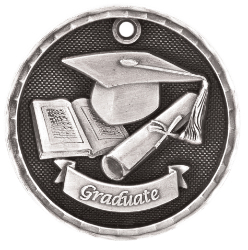 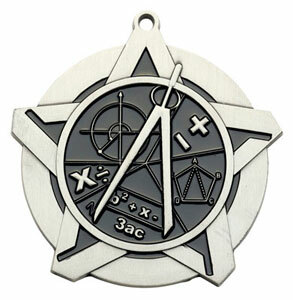 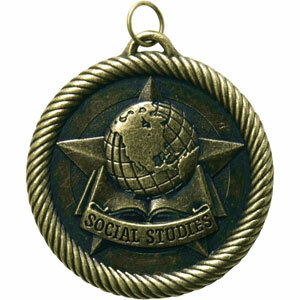 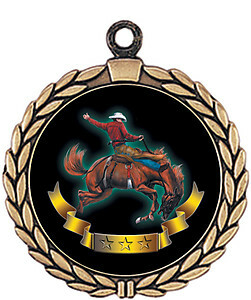 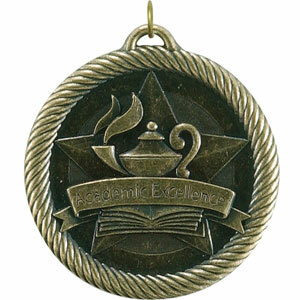 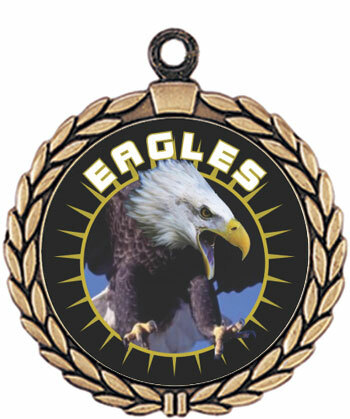 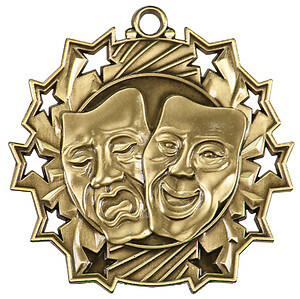 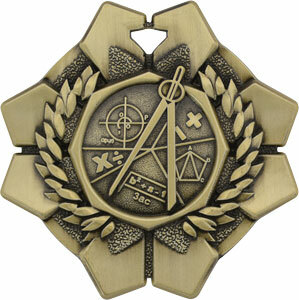 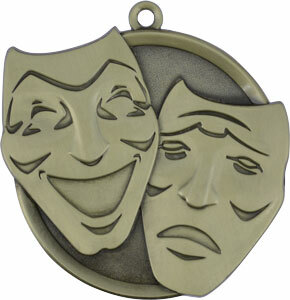 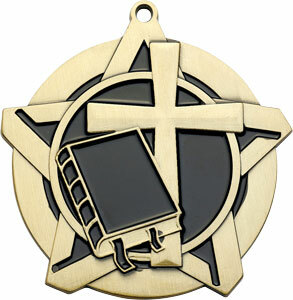 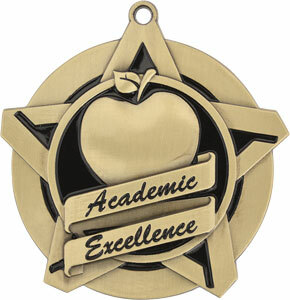 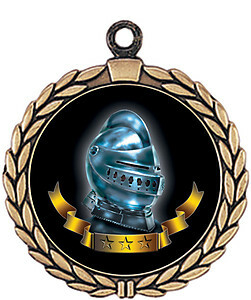 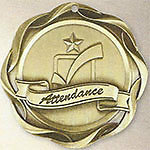 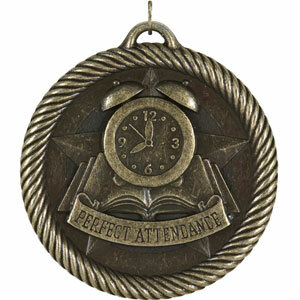 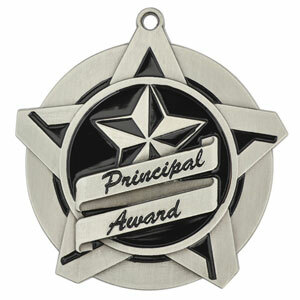 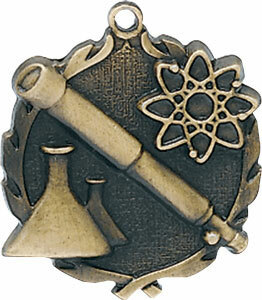 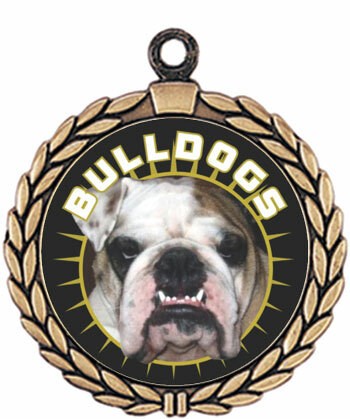 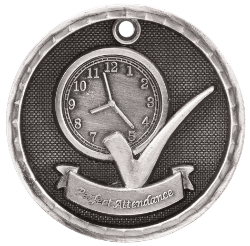 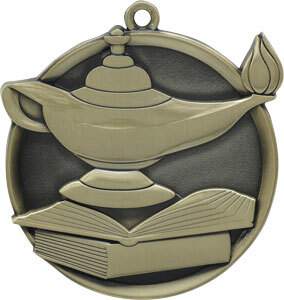 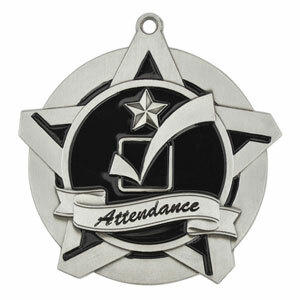 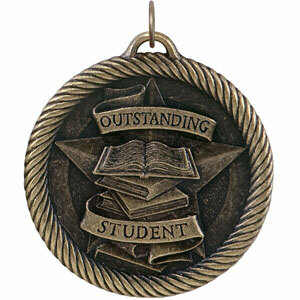 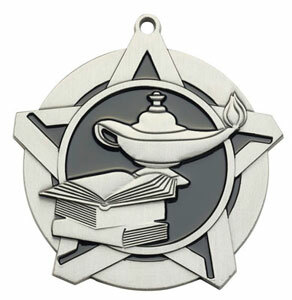 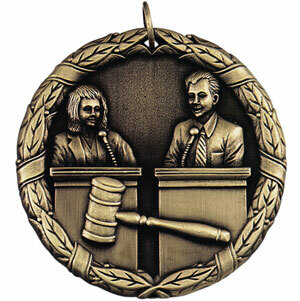 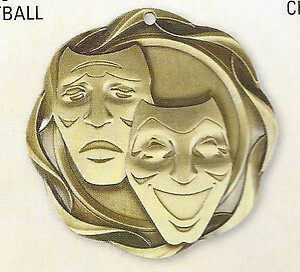 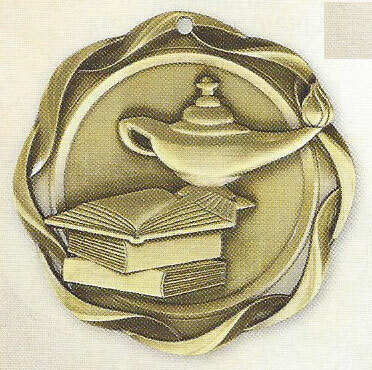 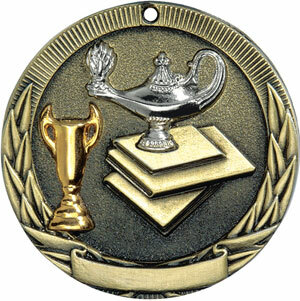 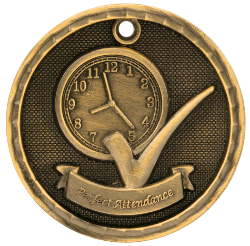 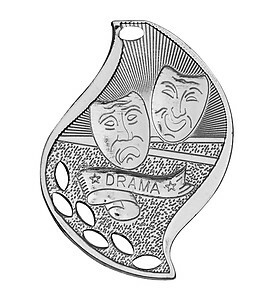 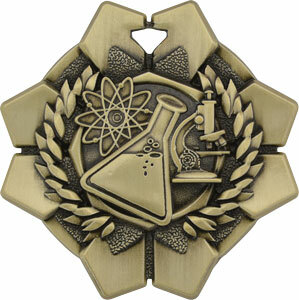 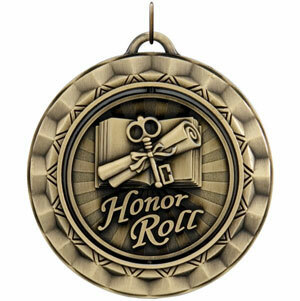 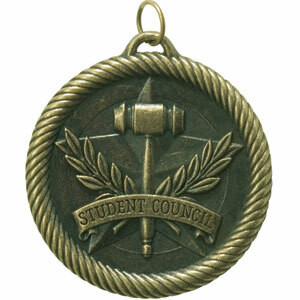 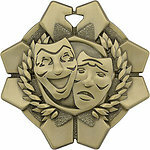 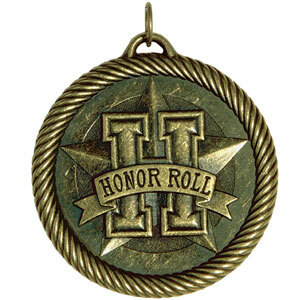 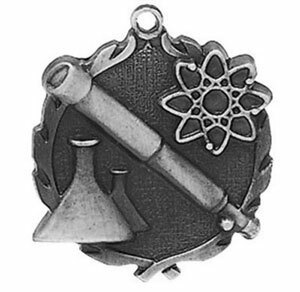 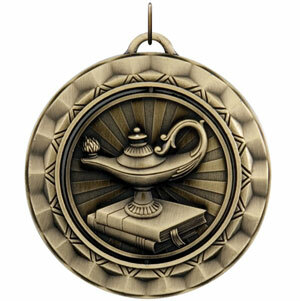 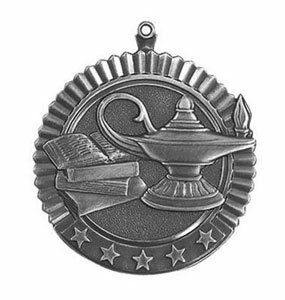 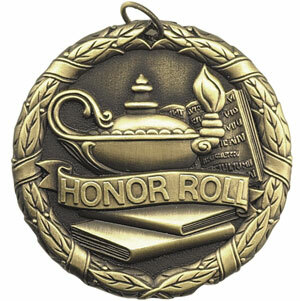 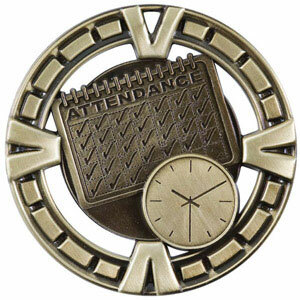 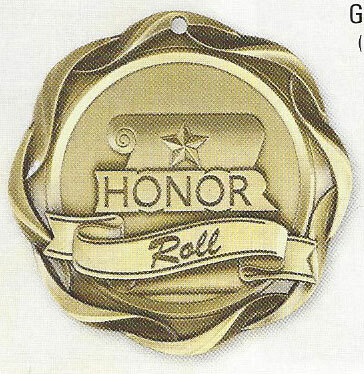 A favorite icon for academic awards, select 3D academic medals that are available in 1 3/4" and 2 1/2". Style include lamp of knowledge and math medals. 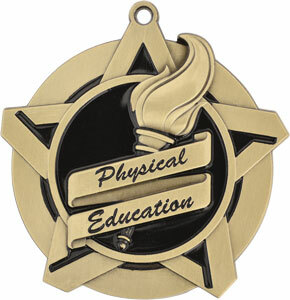 We have the spinning academic medals in various subjects and a lamp of knowledge dog tag medal. All school medals may be purchased with or without ribbons for more information and to place an order, click on one of the academic medals below. 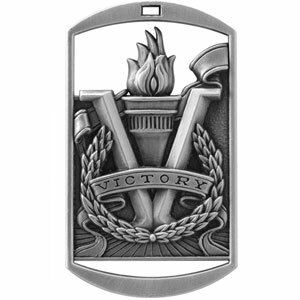 Engraving is available on most medals at 7 cent per character. 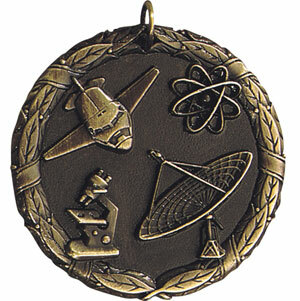 Large and small science medals, including science fair medals. 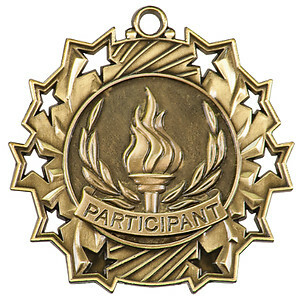 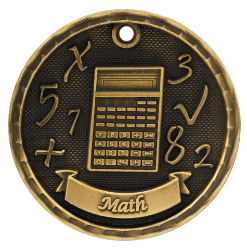 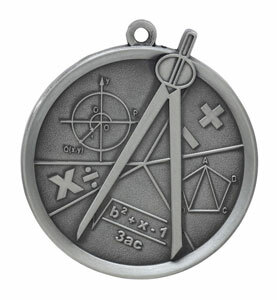 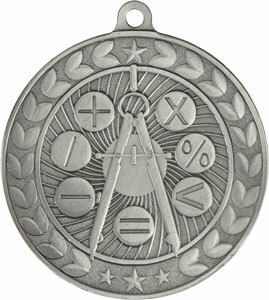 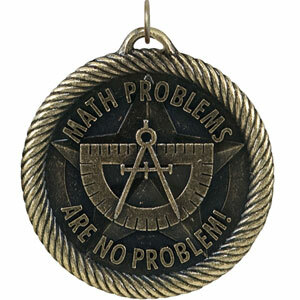 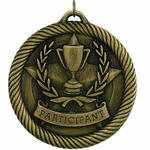 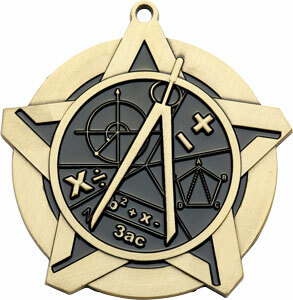 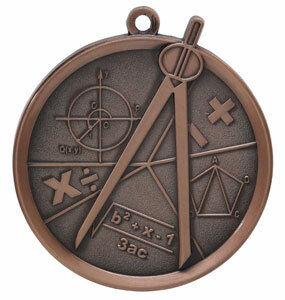 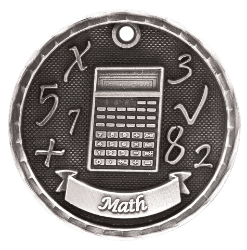 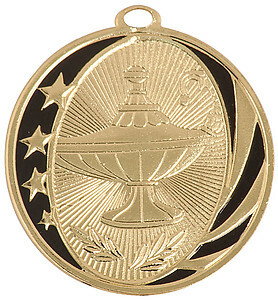 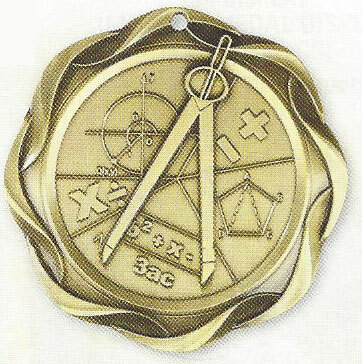 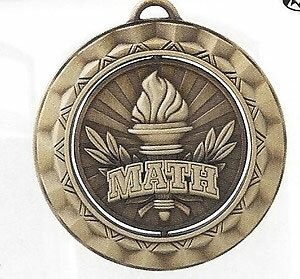 Math medals for competitions or acknowledgement of math skills. 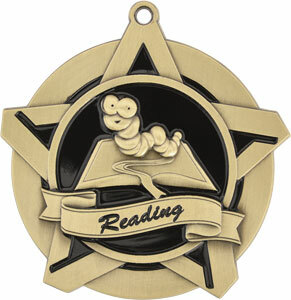 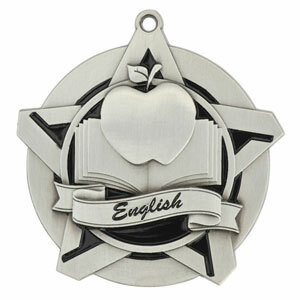 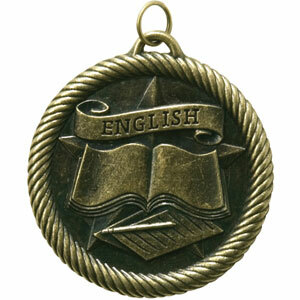 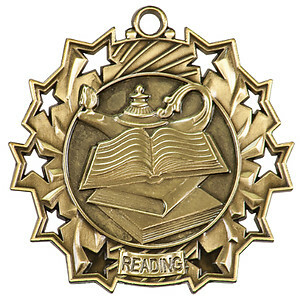 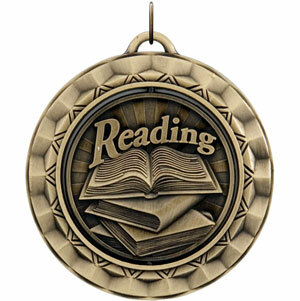 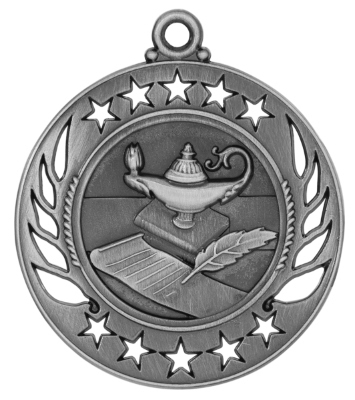 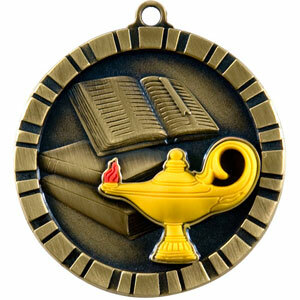 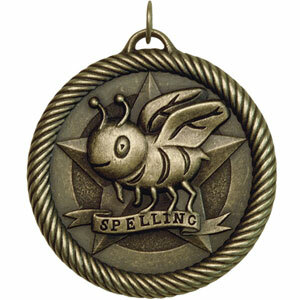 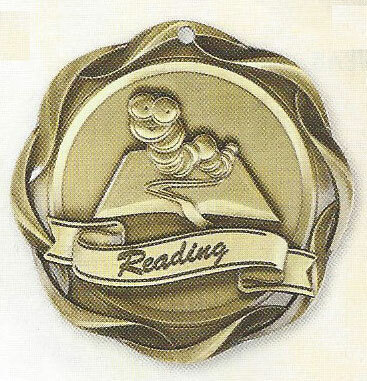 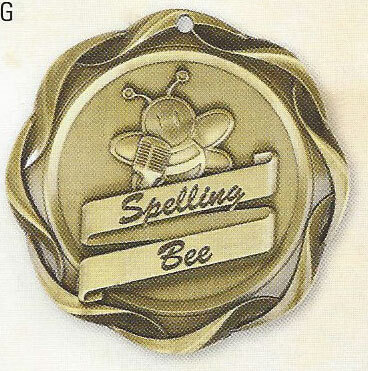 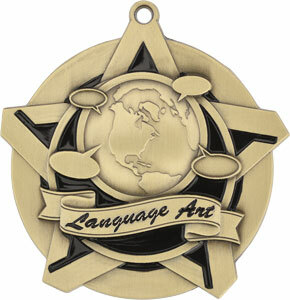 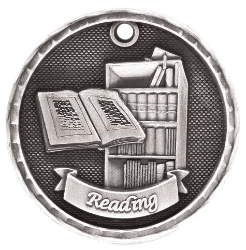 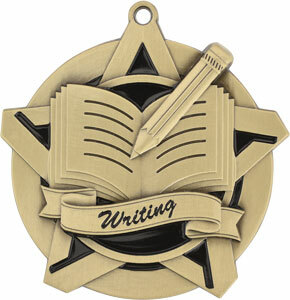 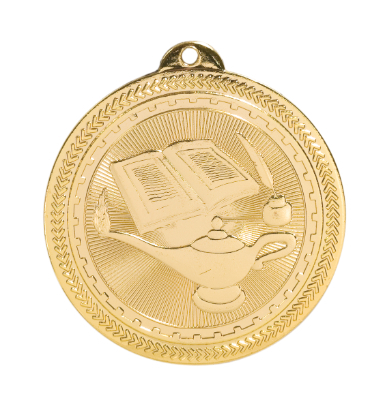 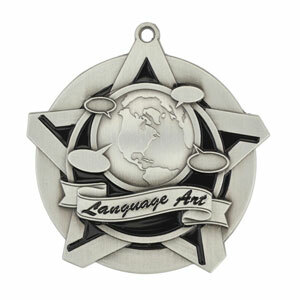 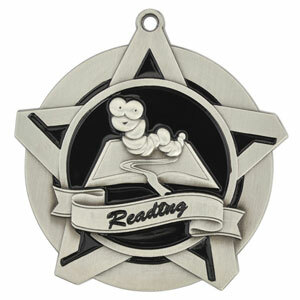 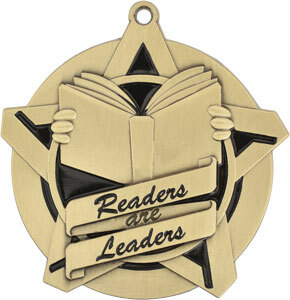 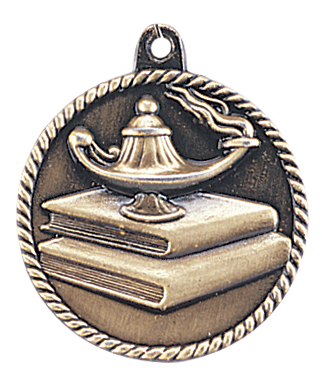 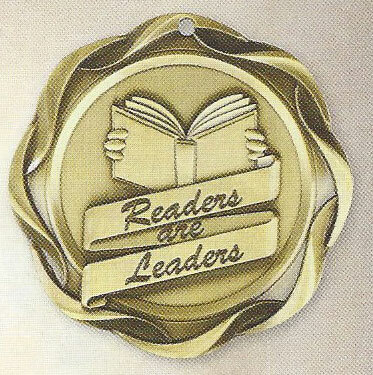 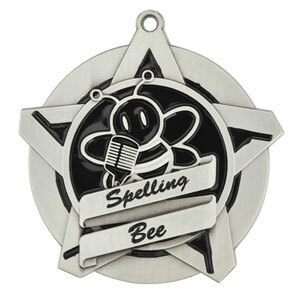 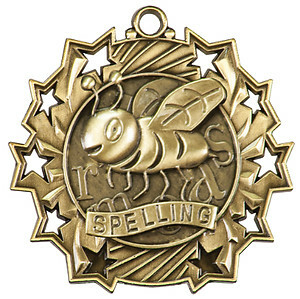 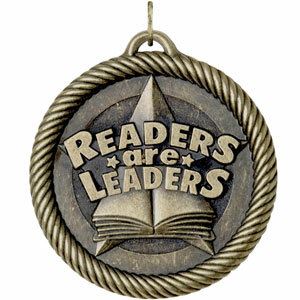 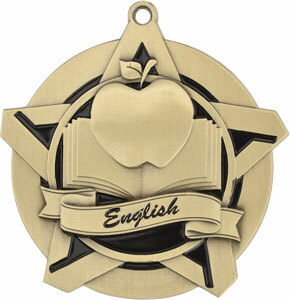 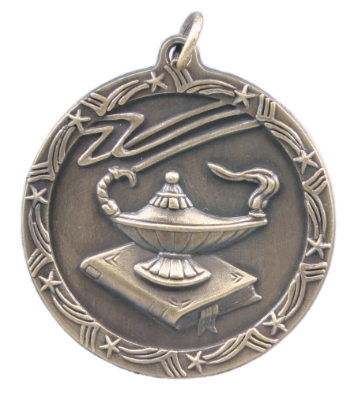 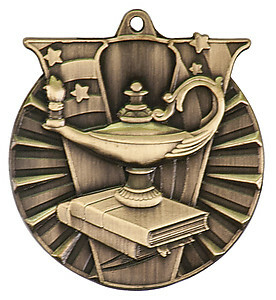 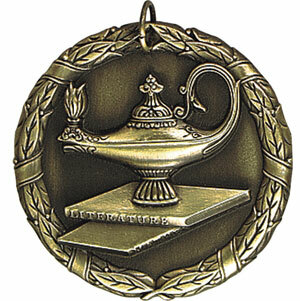 Medals for Language, Writing, Reading in various styles, sizes and prices. 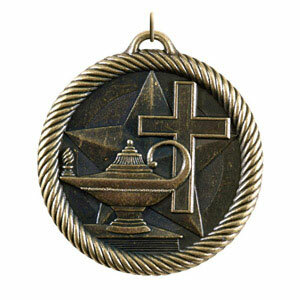 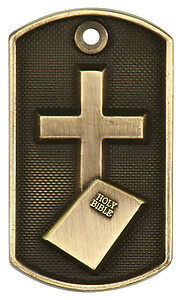 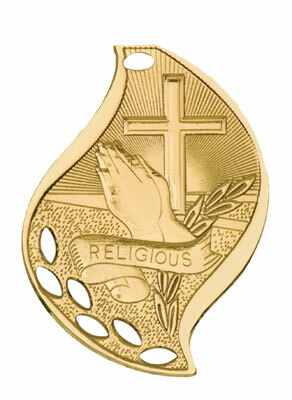 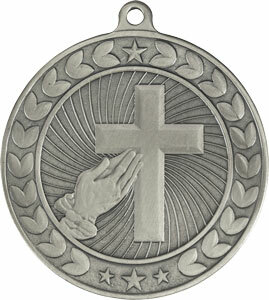 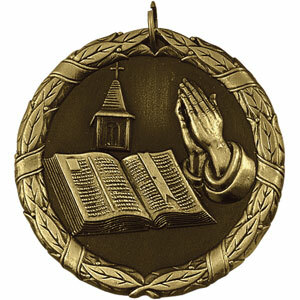 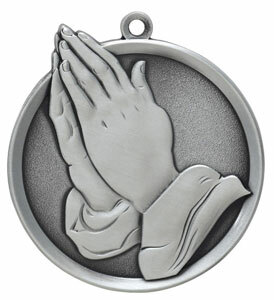 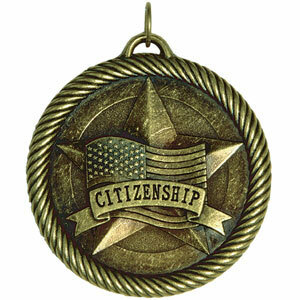 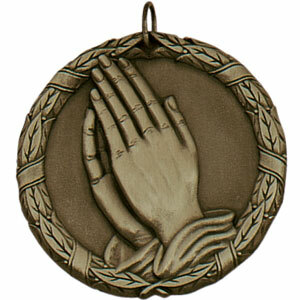 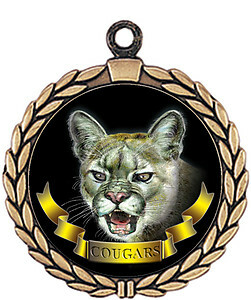 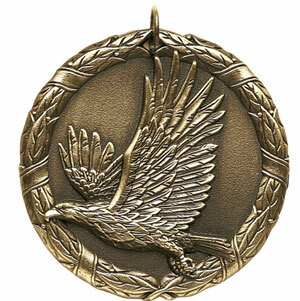 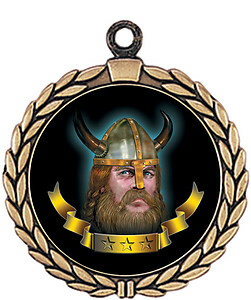 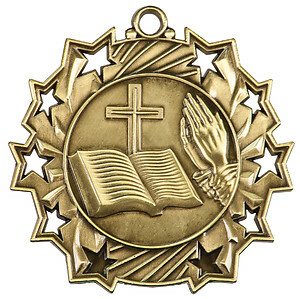 VM-248 Christian School Medals as Low as $1.40 including neck ribbons.